Derby, southern England’s famous creamy white cheddar-type, is adorned in a radiant blend of Port and Brandy lace, transforming the smooth, mild cheese into savory-sweet Red Derby Windsor. Made from pasteurized cow’s milk, the wine fusion is introduced to compressed Derby curds in an intricate mingling. The free-spirited pink cascade throughout the cheese ensures a variation in each tangy, fruity bite, from just a touch of sweetness to a more aromatic and pronounced wine expression. 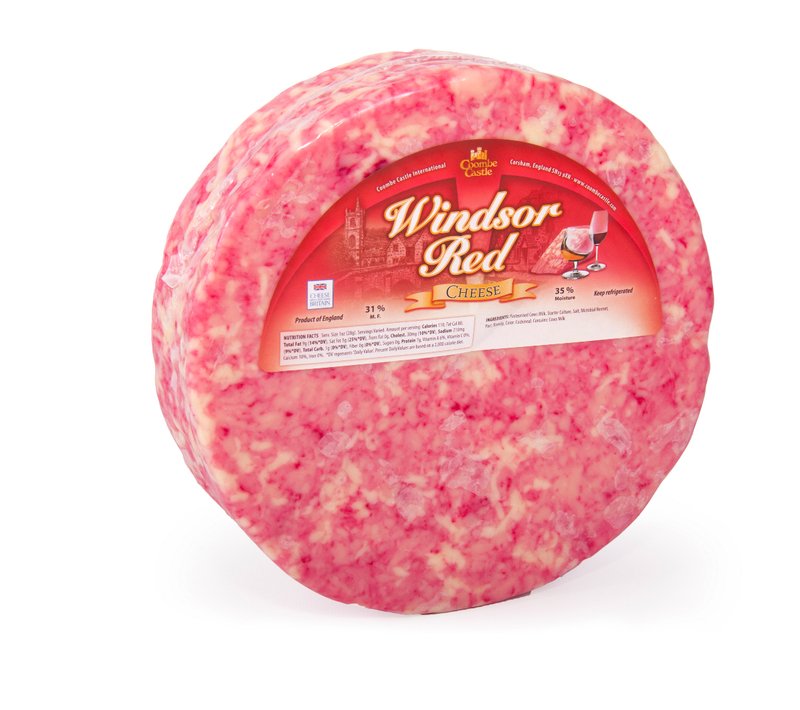 Striking and dramatic, Red Windsor is dressed to impress both the eye and the palate. Application: Delightful and stunning on a cheeseboard alongside warm crusty bread. Great for hors d'oeuvres or as part of an after dinner cheese course. Add elegance and taste to radicchio or endive salads or add a bit of delicious beauty to sandwiches. Pairing: Works well with a full bodied red wine like Cabernet Sauvignon and is ideal with a glass of Tawny Port. Valley Produce Company Gluten Free Naked Pack Crackerthins come ready to be dressed in two ways: First, with any private label over the stay-fresh sleeve, and second, with cheese, jams, dips, antipasto or anything else calling for a great tasting, light, thin and crispy gourmet cracker. 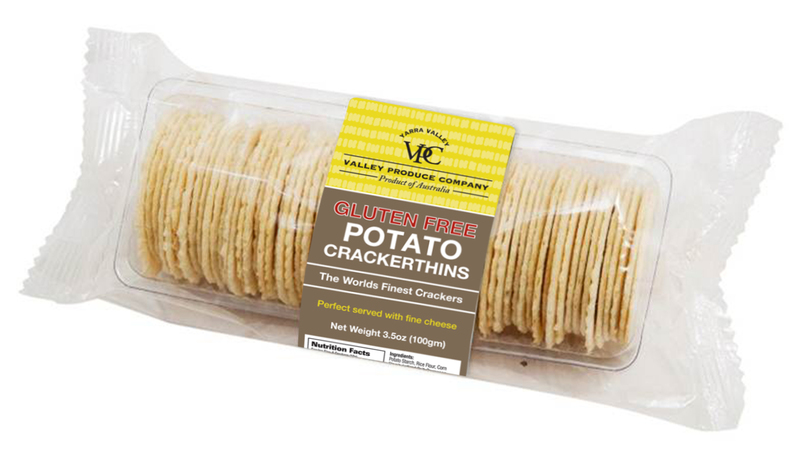 One of the most recognized and prominent gourmet food companies in all of Australia, the award-winning Valley Produce Company makes their gluten free water crackers with a potato base, since potatoes provide a gluten-free starch as well as a distinctive crunch. Only the finest all-natural ingredients from the Yarra Valley go into VPC Gluten Free Crackerthins, including the perfect amount of pure Parmesan cheese that adds a wonderful buttery flavor. The crackers are always crafted in small batches to ensure flavor, texture consistency and nutritional quality.